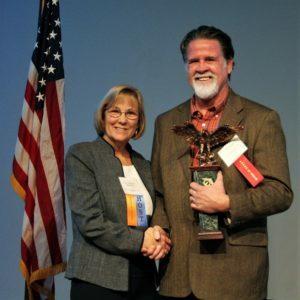 JACKSONVILLE, Fla. (December 7, 2018) – Two members of the Florida Green Building Coalition (FGBC), the leading certifier of green projects in the state, were recognized yesterday with annual awards from the Northeast Florida Regional Council (NEFRC). St. Johns County Housing Partnership Executive Director Bill Lazar was presented the Northeast Florida Regional Council Regional Leadership Award. Jacksonville’s Ability Housing, known for developing and operating quality rental housing affordable to persons with extremely limited incomes, was honored with the Regional Award for Excellence in Affordable Housing. “We are proud of these outstanding accomplishments by our members. They continue show leadership in areas vital to improving the quality of life, providing affordable housing and promoting sustainability in our state,” noted FGBC Executive Director C.J. Davila. FGBC is a nonprofit 501(C)3 Florida corporation founded in 2000 dedicated to improving the state’s-built environment with a mission to lead and promote sustainability with environmental, economic and social benefits through regional education and certification programs. 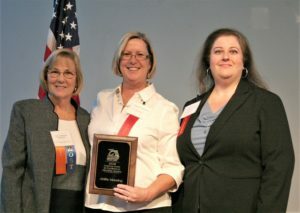 The Northeast Florida Regional Council Regional Leadership Award recognizes the activities of an individual who has exhibited an unrelenting enthusiasm for regional coordination and cooperation. For over 15 years, Lazar and the St. Johns Housing Partnership has worked to create a positive impact on affordable housing and affordable living in St. Johns and surrounding counties. The Regional Award for Excellence in Affordable Housing celebrates best practices and innovation in affordable home ownership. It recognized Ability Housing’s primary focus of improving the quality of housing, provide affordable housing, or to expand affordable housing options. The NEFRC awards program is designed to recognize regional excellence in a variety of critical arenas essential to positioning Northeast Florida as a model of cooperation and coordination. With over 18,500 certifications to date, FGBC is by far the largest certifier of green homes, communities, commercial buildings, hi-rises and local governments in Florida. FGBC’s Florida specific certification programs are the only standards developed with climate specific criteria to address issues caused by the state’s hot-humid environment, unique topography, geology and natural disasters. The Northeast Florida Regional Council, formed in 1977, serves Regional District 4, and is comprised of seven counties (Baker, Clay, Duval, Flagler, Nassau, Putnam, and St. Johns) and 27 municipalities.